‘Sello de Origen’ (Label of Origin) is a Chilean program developed by the Ministry of Economy together with INAPI. The aim is to provide resources for those interested in applying for their product to be distinguishing by this label i.e. sello de origen, which may comprise a geographical indication, denomination of origin, collective marks and/or certification mark. The resources are used to develop the technical studies required for the application. The sign seeks to protect and commercially promote the typical products of Chile. According to INAPI, ‘sello de origen’ aims to protect and promote typical products and it stimulates entrepreneurship and productive development of communities in the country. The program started back in 2012 where each region in Chile submitted a list of potential products that could be enhanced by this sign. The list then was analysed by a technical committee which started to prioritized products that had potential. This year starts by granting the label and geographical indication to ‘Sandías de Paine’ (watermelon from Paine). Paine’s watermelons made an application in late 2014 stating that the watermelons were distinctive from others due to its high sweetness and nutritional quality. Each variety been different from each other because of their size, shape, and harvest time. Among other Chilean GIs there are: Limón de Pica (lime); Langosta de Juan Fernández (lobster); Atún de Isla de Pascua (tuna); Cangrejo Dorado de Juan Fernández (crab); Dulces de la Ligua (sweet); Maíz Lluteño (corn). A more recent certificate granted through this program was the certification mark ‘Manos de Isla Negra’ for hand woven material – embroidery; each piece been unique and with a processing time between 2 to 6 months. GIs are launched as a promoting tool for products but we need to make sure that apart for promoting they still protect - protection not in the IP sense because surely GI works as a distinctive sign which refrains others without right from using it. GIs, as in the case in here, and actually the whole 'sello de origen' covers unique typical products. Usually these products are produced by farmers or small communities where the value given to the product is given by uniqueness. If we push that production because the demand is higher are we potentially destroying it? I am reminded of the Chulucana's case in Peru and Tequila in Mexico. Do you know any other cases? Uniformar criterios, discutir y analizar el actual desarrollo del sistema PCT, y proponer mejoras con el objeto de aumentar la calidad de los servicios prestados por las Autoridades Internacionales y por el sistema PCT a los usuarios, son los principales objetivos de la vigésima tercera Reunión de Autoridades Internacionales (PCT MIA) y la sexta Reunión del Subgrupo de Calidad (PCT Quality Subgroup). El encuentro se ha realizado por primera vez en Chile, en virtud del funcionamiento del Instituto Nacional de Propiedad Industrial - INAPI, como administración encargada de la búsqueda y examen preliminar internacional (ISA/IPEA) del Tratado de Cooperación en materia de Patentes (PCT). La reunión de delegados de las 21 Oficinas de Patentes es anual y reúne a las que tienen la calidad de ISA/IPEA: Australia, Austria, Brasil, Canadá, Chile, China, Corea, Egipto, España, Estados Unidos, Finlandia, India, Instituto Nórdico de Patentes, Instituto de Visegrado de Patentes, Israel, Japón, Oficina Europea de Patentes (EPO), Rusia, Singapur, Suecia y Ucrania. Además, la cita convoca a altos personeros de OMPI encabezados por John Sandage, Director General Adjunto, Sector de Patentes y Tecnología de dicho organismo, quien inauguró la instancia junto al Director Nacional de INAPI, Maximiliano Santa Cruz. IP Statistic: does it give information on economic and social development? The Brazilian Instituto Nacional da Propiedade Industrial has released the ‘official balance sheet’ containing the statistic of its service for 2015. It is reported that the balance sheet was produced and prepared by the Economic Affairs Advisory (AECON). Will the Olympics 2016 change the future in Brazil? Actually, the statistic reveals not a bad year since 2015 started to see Brazil facing a ‘political and economic disaster’. Following the well-known newspaper 'The Economist' one could perceive Brazil's crisis, reported as to be “the longest recession in a century; the biggest bribery scandal in history; the most unpopular leader in living memory.” It is then, no deplorable to see that there was not much increase on creation/invention. But, is it just me who links economic and social development with IP? Do they walk hand in hand? For "Where money issues meet IP rights" follow a great IP Finance blog here. From Peru we heard that another collective society had failed. Last week we covered that INDECOPI’s Copyright Commission sanctioned INTER ARTIS Peru due to “not submitting documentation that would determine the rates set by that entity, [and by not] complying with the principles of reasonableness, equity and proportionality set out in the Law on Copyright.” (here). Today the news is that INDECOPI’s IP chamber confirmed, on appeal, the sanction imposed on the Board of the Peruvian Association of Authors and Composers (APDAYC) – the collective society for the authors/composers of musical work. The original sanction suspended APDAYC’s duties for one year from the installation of an administrative board which will take charge of the association. At first instance (sorry guys we missed this case) the INDECOPI’s Copyright Commission sanctioned with the suspension of its board of directors AND with a fine, due to the fact that the distribution of royalties was not proportional to the exploitation of the repertoire -- the infringement of Law on Copyright (Legislative Decree 822). APDAYC appealed the decision which finally upheld the sanction imposed by the Commission on Copyright. The new year appears to be cleaning some dust from these collective societies…will UNIMPRO (phonogram producers); EGEDA (audio-visual producers); and APSAV (visual artist), among others be checking their policies? I would! 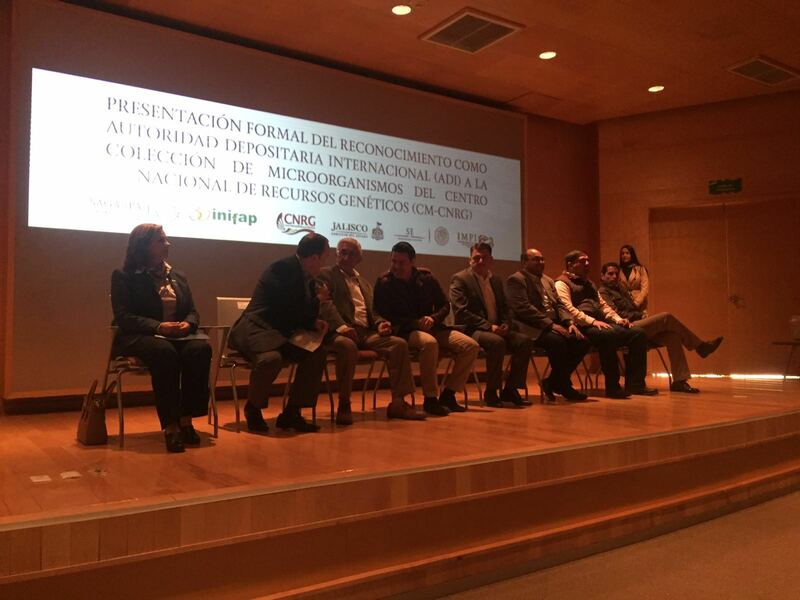 El Instituto Mexicano de la Propiedad Industrial (IMPI), hizo entrega en Tepatitlán de Morelos, Jalisco, de la Presentación de la Certificación como Autoridad Internacional de Depósito de la Colección de Microorganismos del Centro Nacional de Recursos Genéticos al Instituto Nacional de Investigaciones, Forestales, Agrícolas y Pecuarias (INIFAP), de Guadalajara. El 25 de agosto de 2015, la Organización Mundial de la Propiedad Intelectual (OMPI), dio a conocer que la Colección de Microorganismos del Centro Nacional de Recursos Genéticos (CNRG) del INIFAP, sería la primera Autoridad Internacional de Depósito (AID) en México para las solicitudes de patente de invenciones relacionadas con material biológico, transformándose en la segunda de Latinoamérica. En 2012 le correspondió tal nombramiento al Instituto de Investigaciones Agropecuarias (INIA) de Chile, a través de su unidad operativa Colección Chilena de Recursos Genéticos Microbianos (CChRGM). 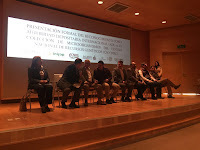 Esta designación representa beneficios directos para los usuarios de patentes mexicanas ya que les permitirá la obtención de la constancia de depósito de material biológico en territorio nacional disminuyendo tiempo y costos asociados, sin tener que realizar el trámite en otro país, de conformidad con lo establecido en el Tratado de Budapest sobre el Reconocimiento Internacional del Depósito de Microorganismos a los fines del Procedimiento en materia de Patentes, el cual es administrado por la OMPI. The longest 9 months I have encountered with! The Brazilian Instituto Nacional da Propriedade Industrial INPI has launched the "Prioritário BR". This project seeks to speed the patent application process. The aim is to analyse the patent in 9 months – for those applications that enter the project. By Resolution No. 153/2015, the project targets Brazilian companies and investors that have made either an initial application for a patent in Brazil or have made the request abroad. There is no date restriction in this pilot phase for this ‘priority examination’ which has already started. Once the patent is granted through this project, INPI informs that the Brazilian applicant may request ‘prioritization’ in the United States through the project called the "Patent Prosecution Highway" (PPH). 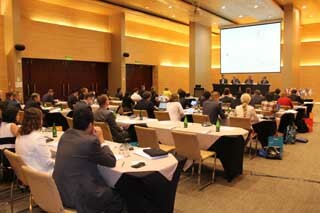 Brazil is now studying other possibilities to expand this project to other jurisdictions. Finally, INPI indicates that with this project Brazil is encouraging Brazilians to innovate. From Peru we heard that the Institute of anti-competition and intellectual property (INDECOPI) has sanctioned a collective society for copyright infringement and violation of the Law on Performers (Law No. 2813). The INDECOPI’s Copyright Commission delivered the sanction (Resolution 421-2015 / CDA-Indecop), a monetary fine of UIT (tax units), against INTER ARTIS Peru due to “not submitting documentation that would determine the rates set by that entity, [and by not] complying with the principles of reasonableness, equity and proportionality set out in the Law on Copyright.” Moreover, the rate applied by INTER ARTIS was not been “established in agreement with the partnership of audio-visual performers and producers” in accordance with the correspondent Laws (copyright and performers rights respectively). Collective societies are private and non-profit organizations which look after the defence of the economic rights of its members. They collect and distribute copyright royalties from users. These societies require prior authorization by the government. There are seven collecting societies in Peru regulated by INDECOPI. Some of them are: APDAYC (authors/composers of musical work); UNIMPRO (phonogram producers); EGEDA (audio-visual producers); and APSAV (visual artist), among others. Collective societies are usually involved in rights management and thus, may grant rights on behalf of rights holders. The collecting society then will charge a fee for such licence. First, the collective society will deduct an administrative charge and then distribute the royalties to the right holders. In the case in question it appears that the collective society was not clear and transparent in the most crucial issues. It is then reasonable that they were penalize, but should this be the end of this? Collective societies look after the ‘defence’ of the members i.e. creators/authors and the question is: can they be trusted by its members? A monetary sanction is just that, ‘money’ and I think that they should be another type of perhaps no penalty as such but amendments that the INTER ARTIS need and should comply with. It is said that they are regulated by INDECOPI, but is this just delimited on punishment sanctions. Perhaps this procedure and practice can be explained by INDECOPI or a Peruvian lawyer working in the field – can you address this blog and its readers to certain minimum standards that a Peruvian collective society must have and if there is a regulation that governs them. For more information in regards to Peru’s IPRs see the factsheet provide free of charge by the Latin America IPR SME Helpdesk here.